A 50m roll of double sided tape with a 10mm width. 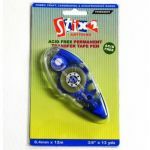 The tape is supplied on a 15mm base for ease of use. A 50m roll of double sided tape with a 12mm width. A 50m roll of double sided tape with a 4mm width. 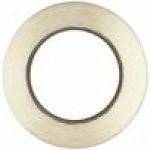 A 50m roll of double sided tape - with a 6mm width. A 50m roll of double sided tape with a 6mm width. 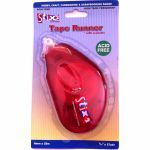 The tape is supplied on a 12mm base for ease of use. 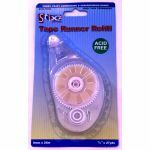 Double sided acid free permanent high tack tape runner. 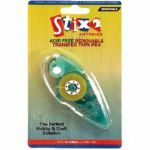 Clean and Easy to use. Precise placement. Refill available. 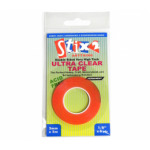 Double sided, acid free, permanent high tack tape refill. 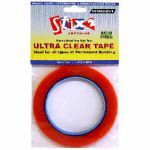 A 15m roll of ultra clear tape, 12mm wide. The tape is heat resistant. A 15m roll of ultra clear tape, 3mm wide. The tape is heat resistant. 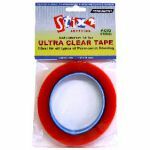 A 15m roll of ultra clear tape, 6mm wide. The tape is heat resistant.